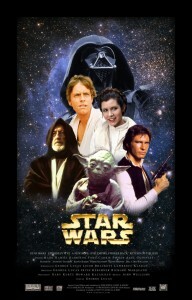 Star Wars Collectibles: Toys or Investments? 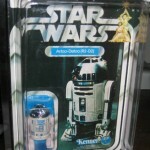 Central Kentucky Antiques and Collectibles > Buying Antiques & Collectibles > Star Wars Collectibles: Toys or Investments? b) As more people become interested and involved in collecting Start Wars items, their price increases and so even more people become involved in their collection. As long as the items remain desirable, it is a cycle that will continue until prices maximize and figures become the domain only of those who can afford to invest. But, there is still a great deal of fun to be had in seeking Star Wars collectibles, and it is liable to be this way for a good while to come. Those figures that were common yesterday might tomorrow become rare. Not only that, but who knows what rare figures might appear in your next garage sale or local flea market. However, as with any form of collectible, as popularity increases then so does awareness, and with it prices rise and availability becomes scarcer. So what should you be looking for in a Star Wars figure? Obviously rarity, but also demand. Rarity and demand go hand in hand, and 100 items sought after by 1000 collectors will command a higher price than 10 sought after by 50. Other factors that affect price are the publication of new novels, anniversaries of movie releases and the launch of special editions. The original figures were produced by Kenner who bought the rights to the toys for the first three movies from 1977 to 1984. A large number of figures, spacecraft, vehicles, weapons and others were produced during that period, and since. The original figures can fetch premium prices, particularly in mint condition in their original boxes. If that box is still sealed, then . 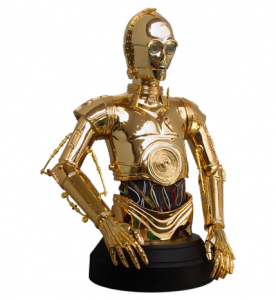 . .
Production of Star Wars figures recommenced in 1995, and the collectors and manufacturers have virtually created their own collectibles market. Figures were no longer launched as toys but as collector’s items. Even today, people purchase Start Wars figures to lay down, unopened in their original wrappings and boxes, awaiting the day when they assume a rarity value that renders their owners a good profit. Those with greatest value are, as always, limited editions and exclusives. Among these are a model of Figrun D’An, made for Star Wars Insider, and real collectibles can go as far as the 1977 Obi-Wan Kenobi cloak, worn by Alex Guinness in the original Star Wars that sold 30 years later at Bonhams’, UK, for the equivalent of $90,000. Not all Star Wars collectibles are toys! The way to collect figures that might one day make you your fortune is to seek them out at garage sales, flea markets, antique stores and other places where you could conceivably find something of which others might not be aware of its value. However, old, used toys are not worth collecting since most buyers are interested in mint items in the original box. The only exception to this would be an extremely rare item that has value regardless of its condition. There are few doubts that mint Star Wars collectibles from the original 1977 – 1984 movie series will make better investments than those from the second series of movies, time introducing rarity. However, as the worth of such items have become increasingly more obvious, there has been a tendency for the manufacturer, and even the movie studio, to introduce characters and special editions with a view specifically to make money from their scarcity. As with any other item that people collect, whether they have been produced with that in mind or not, market prices are dictated by rarity. This being the case, of course, does not infer that those items that are in relative abundance will necessarily be considerably easier on the pocket. Star Wars collectibles tend to have increased in value, and even those who collect them for their original purpose are having to dig deeper into their pockets for items of relatively low investment potential. Just as great works of art are now beyond the means of the majority of those who would purchase them for their beauty as opposed to their future monetary value, so Star Wars collectibles are becoming the domain of the collector rather than the child or anyone else who would desire them for their worth simply as toys and nothing else. That, after all, was the original intention of their existence, but market forces now work to destroy such innocence of purpose, and such items are now manufactured with investment in mind.